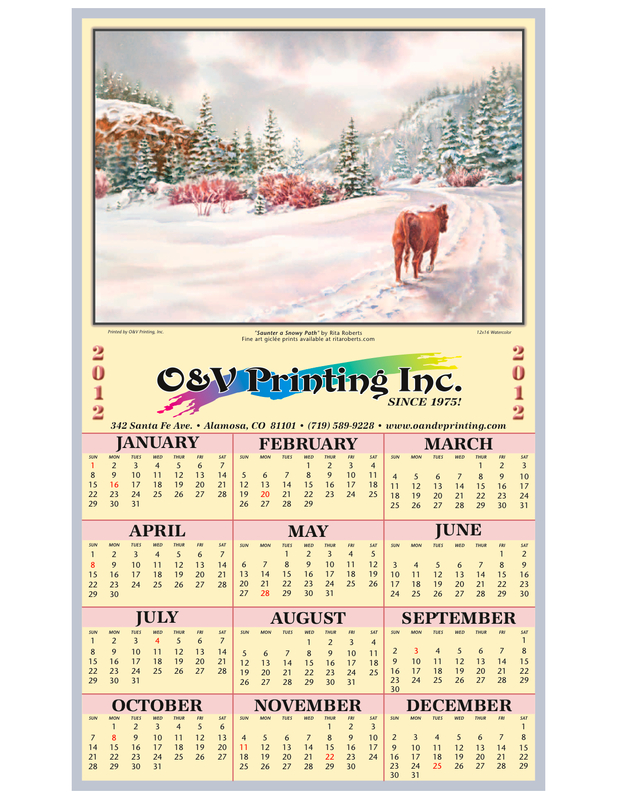 “Saunter a Snowy Path” was selected by O&V Printing in Alamosa, Colorado for their 2012 Calendar. Contact them to receive your poster for the new year. Giclee prints of the painting without the calendar are available here.